We both began our meal with the canapés, which I found to be a nice start to the meal. 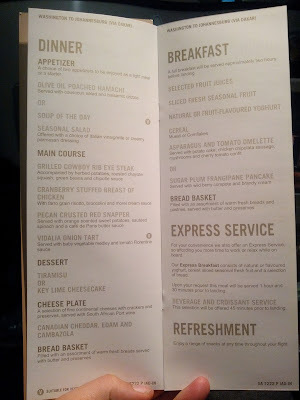 For our appetizers, she had the soup of the day (potato and leek) - it was creamy and very tasty. I had the olive oil poached hamachi, which was a lighter start - but still a healthy-sized portion. 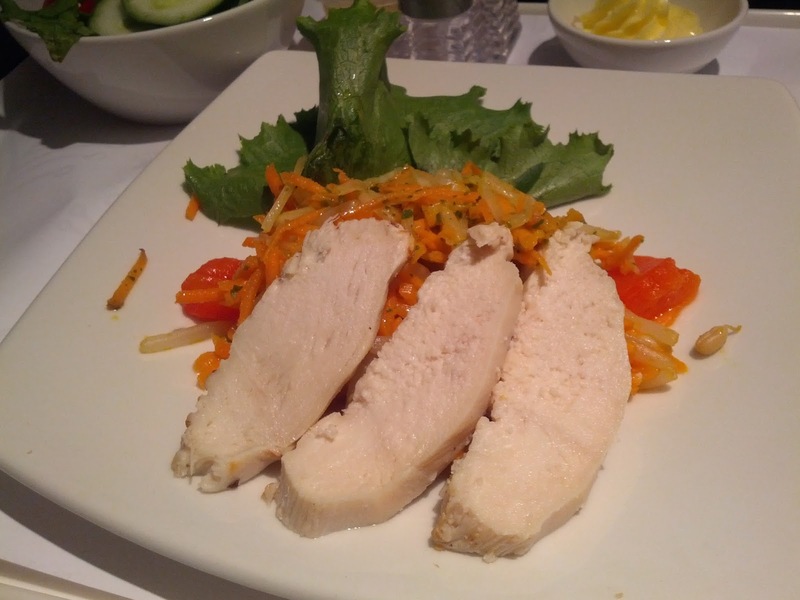 To pair, we enjoyed a glass of the Chenin Blanc, which was very nice. 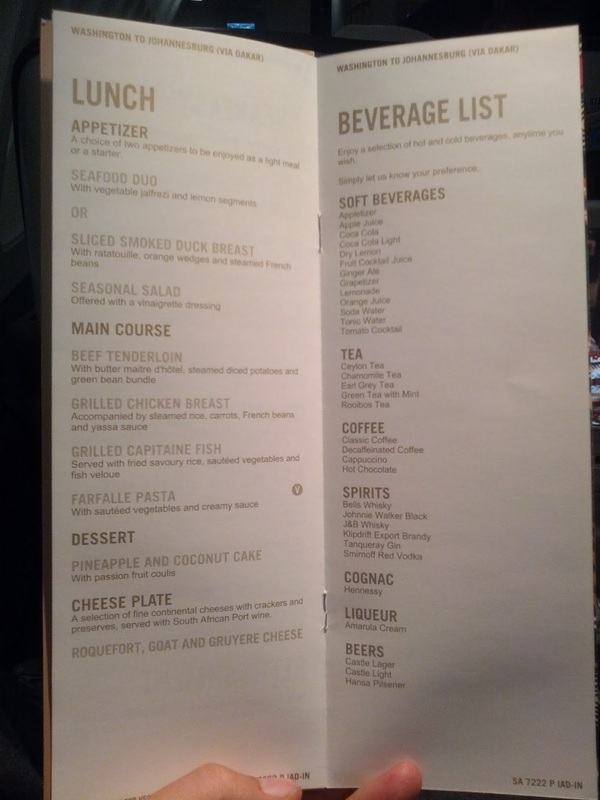 For our mains, I had had my eye on the cowboy rib eye steak - unfortunately, by the time they got to me it was no longer available. 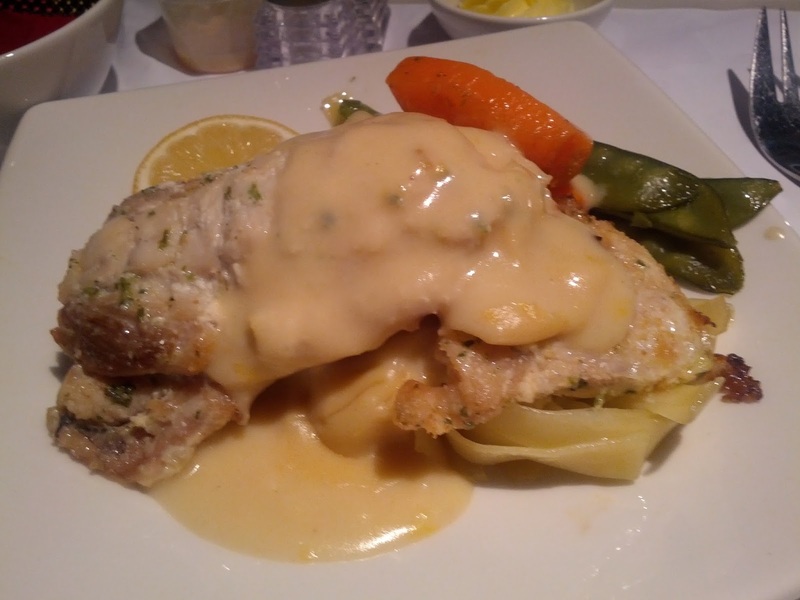 As a result, we had the cranberry stuffed chicken and the pecan crusted red snapper. 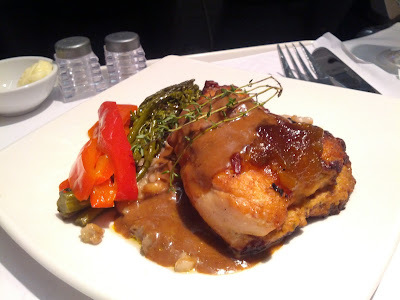 The chicken was ok - I liked most of the flavors on their own, but the combination of a cranberry stuffing with morel cream sauce was a bit odd for me. 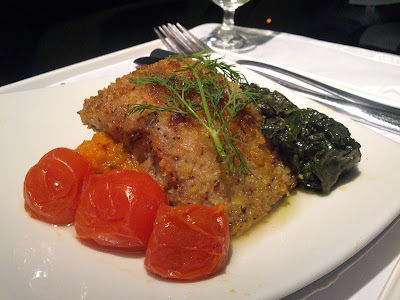 The fish on the other hand, was quite good - very moist and tender, with a nice crust to compliment it. My intention was to pair the Pinotage with a nice, juicy steak. When half of that plan fell through, I ended up waiting on the Pinotage until the cheese course. The wine was great - probably my favorite on their list. The cheese on the other hand, was fine, but pretty boring. 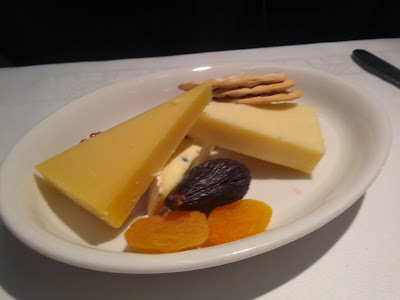 I like cheddar and Edam, but in my opinion, they're a bit boring to be showcased on a cheese plate (especially to have them comprise 2 of the 3 cheeses). 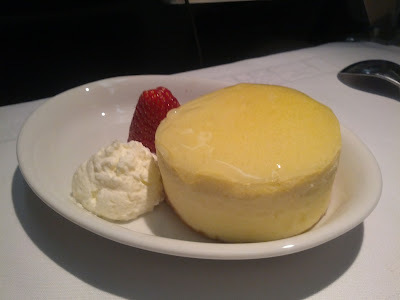 To finish, I had the key lime cheesecake with a glass of Port. The cheesecake was good - but not particularly remarkable. 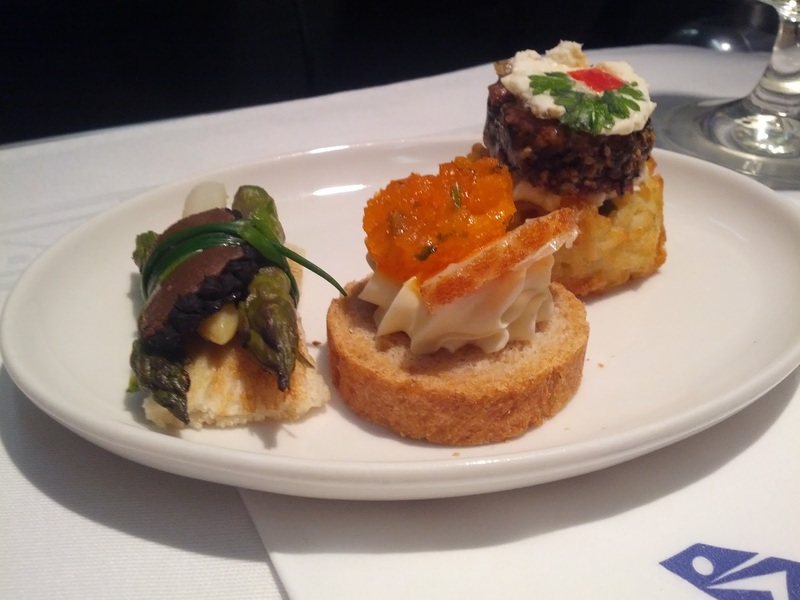 I also thought the presentation was somewhat lacking when compared to most of the previous courses. 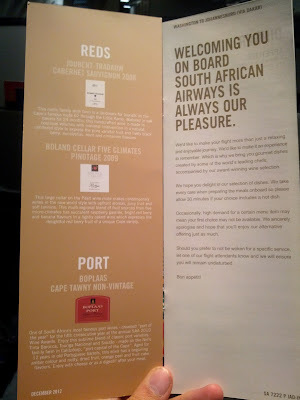 I'd never had a South African Port before, but it was quite enjoyable! After dinner, I decided to try to get some sleep before our refueling stop in Dakar. That stop comes ~7-8 hours into the trip, so I was just hoping to get a few hours' worth of sleep before landing. 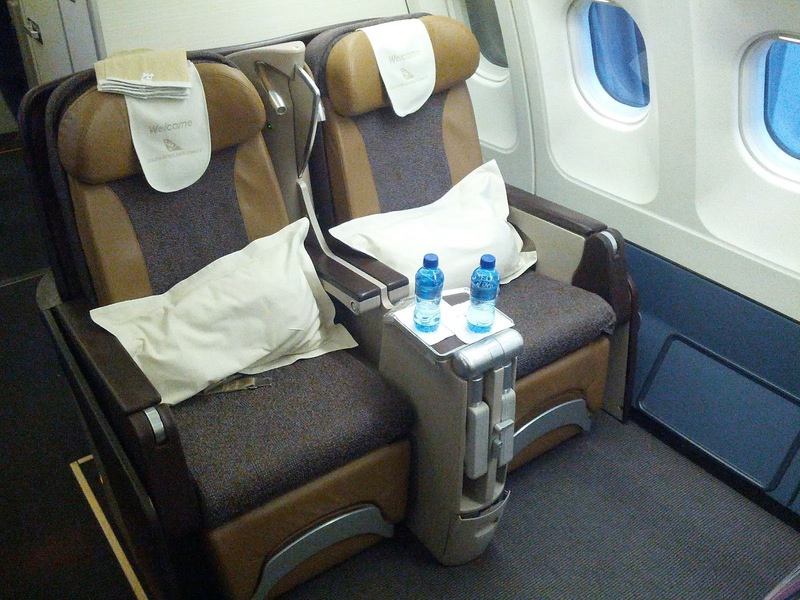 One great thing about SAA is that they have flatbed seats in business class on their long haul flights. 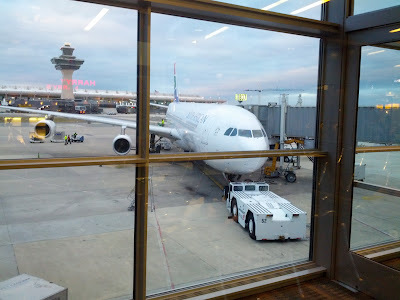 Overall, I found the seat to be quite comfortable, and I was able to get a fair amount of sleep between the two legs of the trip. The mattress pad and heavy duvet that they provided certainly helped with that! 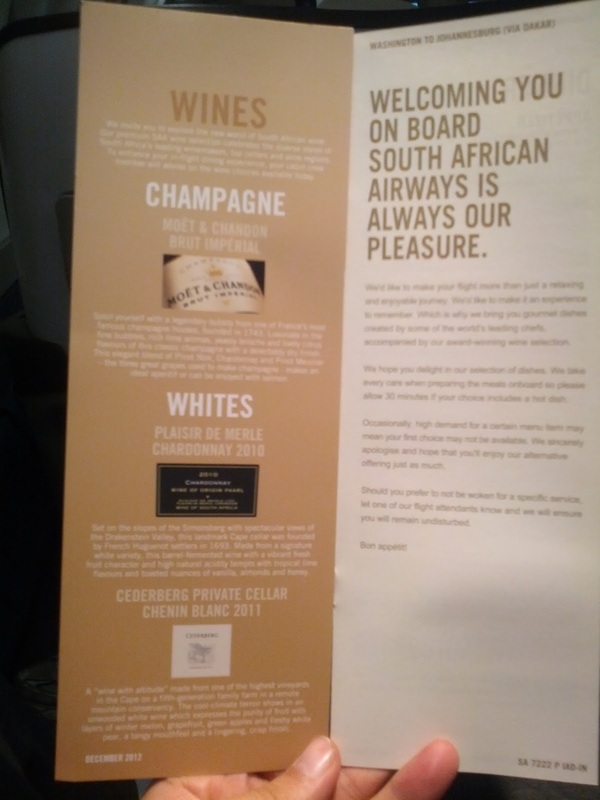 We were actually on one of the SAA 343s that is a former Iberia plane - which meant that the seats were slightly different from SAA's other planes. Reports were of slightly less recline, and while I did find that to be the case, it really wasn't that much of a difference. I did find the style of the seat to be sub-optimal for especially tall passengers (I'm 6'6").With no cut-out or ottoman to rest my feet on, I found that I had to choose between letting my feet dangle off the edge of the seat, or curling up a little tighter than I normally would prefer in order to fit within the boundaries of the footrest attached to my seat (even when fully extended). I also found the seat movements to be somewhat jerky when shifting the orientation, though that was only a minor annoyance. 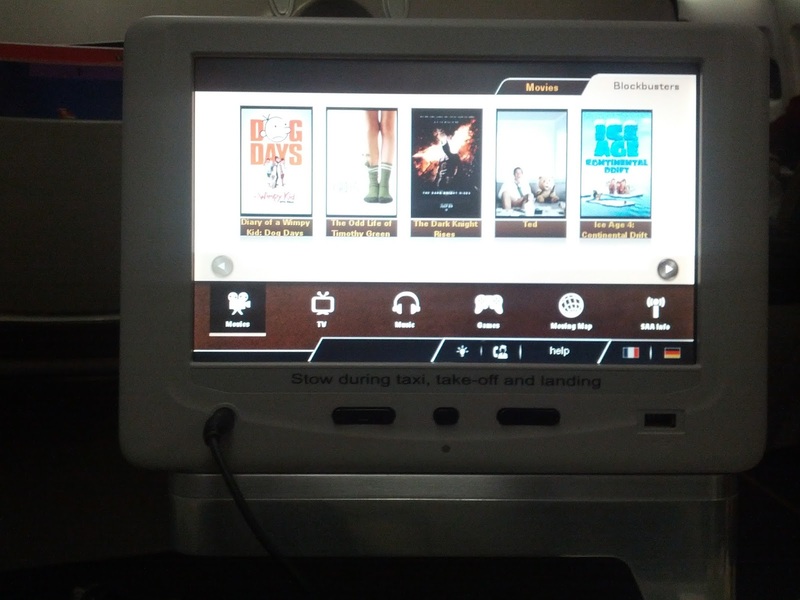 As I mentioned above, I was still able to get a fair amount of sleep, so I was certainly happy with the seat. It did fall a little short of my (admittedly high) expectations. After a short break in Dakar, it up again for the second leg of the journey. 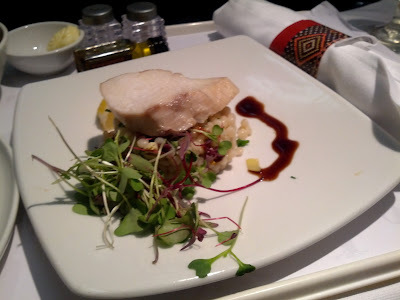 The second leg of the trip was less impressive, as the meals were breakfast and lunch (vs. dinner), and many of the dishes seemed to actually be leftovers from the dinner menu from the first flight. 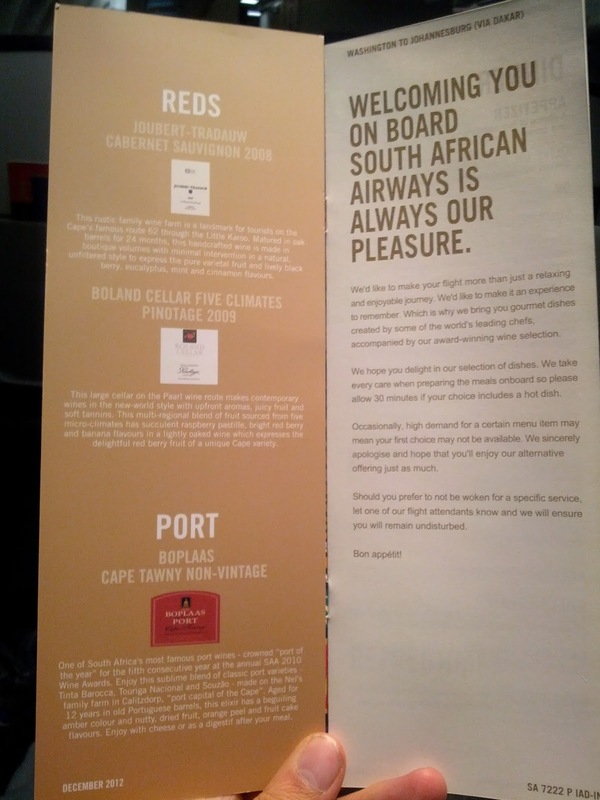 The wines I chose to accompany my lunch (Chardonnay and Cabernet Sauvignon) were good - but not as good as the Chenin Blanc or Pinotage. 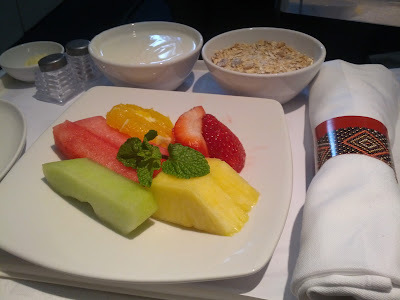 Even breakfast was multiple courses: fresh fruit with yogurt and cereal, followed by a choice of an omelette or pancakes (I chose the omelette). Both were good - though I would've preferred them in the opposite order. 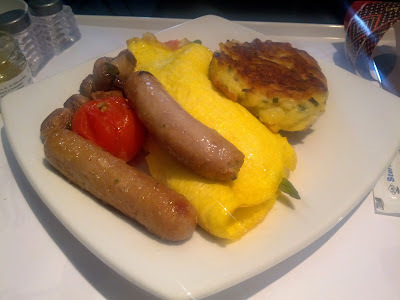 I generally like my omelettes with meat and/or cheese of some sort, but the veggie-only one that was served was tasty. The pasta and vegetables were fine, but the fish itself was really, really dry and pretty flavorless. 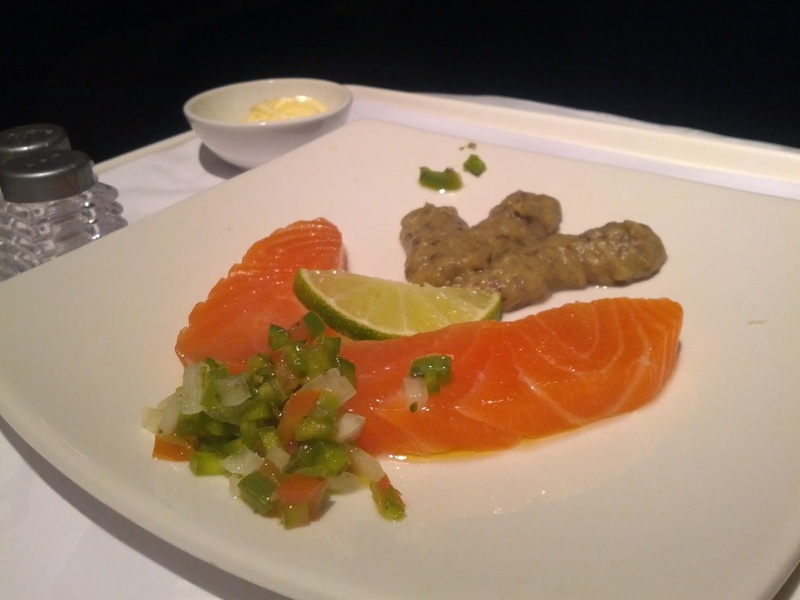 Easily one of the worst dishes I've ever had while sitting in business class. The "vegetarian option" was listed as a farfalle pasta, but instead ended up being the same onion tart from dinner service. 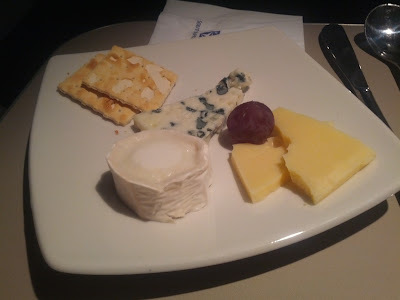 Fortunately, the cheese was better than what was included in the dinner service - though still not as good as most I've had on United, where the cheese is freshly-sliced and served from a cart. 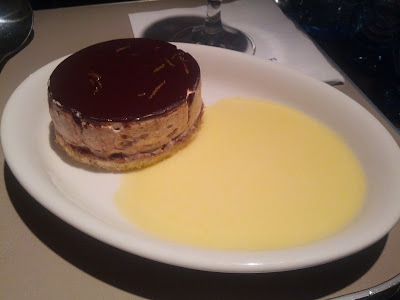 Desert was fine - I'm not much of a tiramisu fan, and that's what they served instead of the pineapple and coconut cake that was listed on the menu (another leftover from the dinner service). Overall, I thought the food and the wine were good to very good. 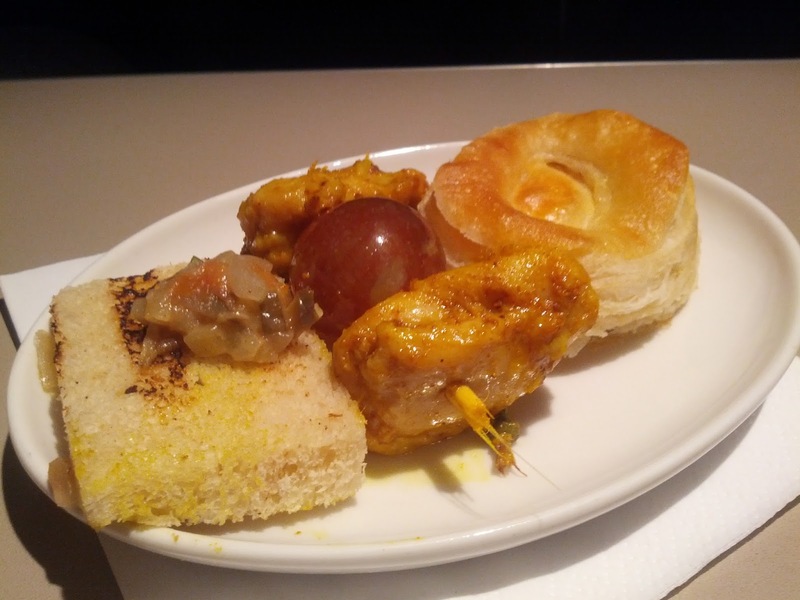 There were some very tasty dishes, and some very good wines, but there were also a few clear misses as well. I think if I'd actually been able to order what I wanted, and if all the dishes were actually what was listed on the menu, then it might have actually been pretty great. 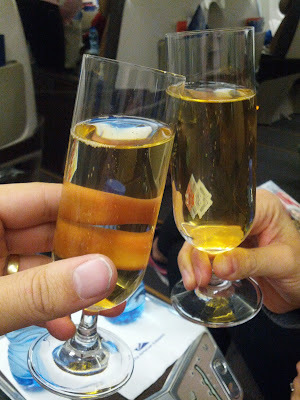 I found the service to be reliably friendly on both legs of the flight (the crew changes at Dakar). The entire crew seemed courteous, patient, and helpful - and almost always had a smile on, or a humorous comment to make. I give them high marks, but I would've appreciated some sort of explanation of the menu changes on the second flight. I ended up sleeping / eating for the vast majority of both flights, but did manage to watch The Campaign and Ted during the trip. The entertainment system was ok - the movie selection was reasonably good (but not great), and there was a bit of a lag when using the touch interface, but it certainly got the job done. 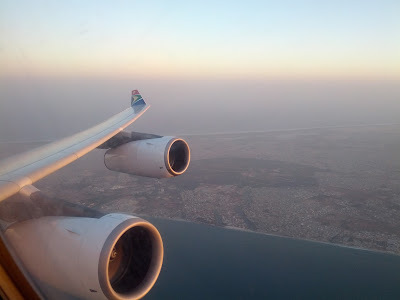 I hope you've found this review helpful - I look forward to flying South African Airways again in the future, and would be very curious to hear what kind of experiences you've had as well!